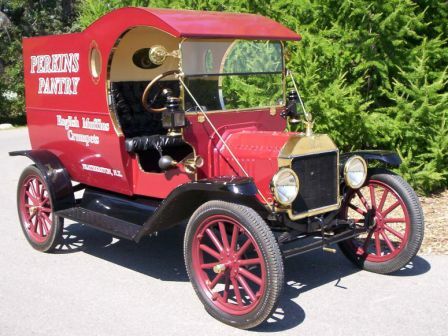 Model T Ford photo's are one of the more commonly sought after items when people are looking up information on the 'Tin Lizzie'and this was one of the most time consuming things I found. I found images were generally scattered all over the internet in various car club sites, some available to the public, some not and often not very good quality.That's why I collated images in the Centenary year,building a library for others to see. This is a collection of cars owned by enthusiasts from all over the world. And the best bit, parts for every year and model are readily available. So whether you're a brass model veteran fan, a speedster admirer, a Model TT Ford trucker at heart, you should find what you're looking for here. Make sure you keep an eye on this page as it changes as more submissions are collected. Select from the categories shown here to view different types of Model T Fords, or, use the vertical index further down to view photos of Model T's in collections, on rallies or even celebrating Christmas. 1914 Speedster owned by Kyle Augustin of Colorado USA. More Speedsters 1916 Runabout owned by Mike Royster of North Carolina USA. More Runabouts & Roadsters 1917 Tourer, owned by Bob & Marilyn Bishop of California USA. 1926 Australian Fordor owned by Warwick of Traralgon Victoria, Australia. More Enclosed Cars 1914 C Cab Delivery Car owned by Ross & Gail Benedict of Alberta Canada. More Woodys 1923 TT Cab Tray Truck USA. 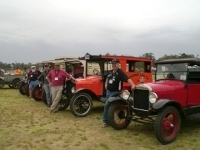 Click here to view Model T Ford rally photos. 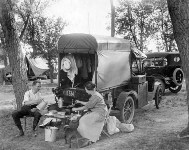 Click here to view Model T Ford Camper & Trailer photos. Click here to view Model T Fords at Christmas time and in the snow. Have a great looking T picture? If you've been on the Model T Forum, you might know I'm building a comprehensive gallery of as many T's of all years and types, but there are quite a few gaps still! Do you have a T that isn't pictured? Or even a great picture of a year or type that already is? We want to feature it here - so why not share it with the world! All I need is a good picture, a short description and where in the world your T is. It's as easy as that! Your T details will appear on a Web page exactly the way you enter it here. You can wrap a word in square brackets to make it appear bold. For example [my story] would show as my story on the Web page containing your story. You can add as much information as you like, but at a minimum, I need to know the year, body type and location of where the T is. If you have some history to sahre, even better! Do you have a good quality picture to add? Great! Click the button and find it on your computer. Then select it. Photo's need to be in .jpg format, approximately no more than 500 pixels wide and 600 pixels tall with a file size no more than 1 mg.
Too hard? Not sure what this means? If you're uncertain, use the Contact Us button to the left for help from me before you proceed. You can exceed these guidelines, but I may have to edit your submission. 1924 unrestored touring. Runs great. In front of Great Grand Dad's 140 + year old house during snow in Rock Mills Alabama.